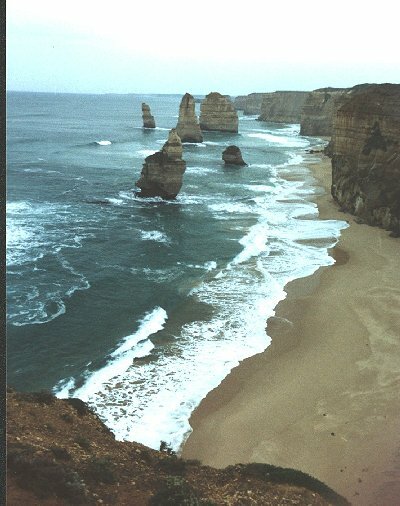 When my family arrived in Melbourne, that weekend, we rented a car and drove down the Great Ocean Road. If you have never driven a car on the British side of the hiway, get ready for a shock. It is very stressful when you first start out. I guess I kind of got used to it, after the third day, but then we had to turn the car back in. On the way down the GOR, we stopped at this lighthouse. 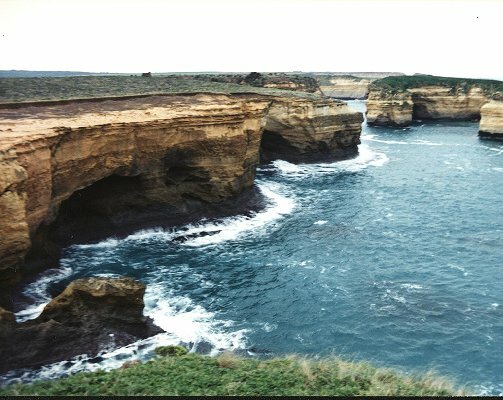 The Great Ocean Road winds down the coast of Australia, to I think the southern most part of 'OZ" nearest Tazmania. There were several scenes like this one. 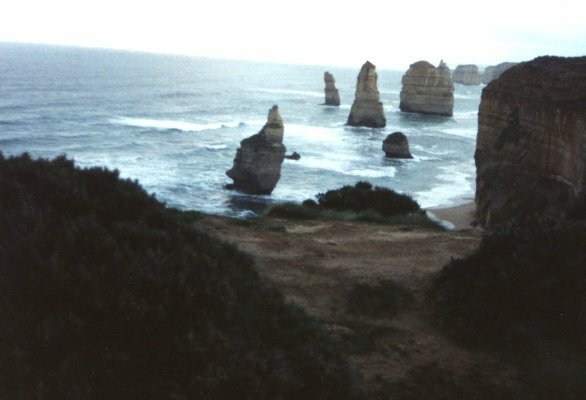 One specific spot is visited for a group of projections out of the water named "The Seven Apostles". As the sun was going down on our adventure. 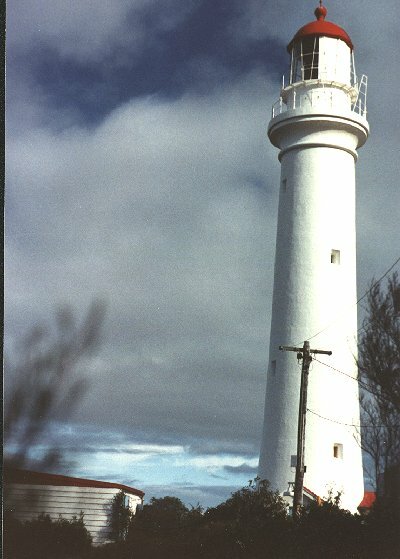 I had to drive back to Melbourne in the dark, on an interior road, which is only half paved. The pavement is one lanes width, with the center line dividing it. The rest of both lanes are packed dirt. The idea is that you drive down the pavement, until you meet another car, and you both drive half on and half off the pavement.